Earl Eder is a recognized Native American (Sioux) painter and sculptor. He is a graduate of the first class of the Institute of American Indian Arts (IAIA) in Santa Fe, New Mexico. After studying at the IAIA, Eder continued his work at the San Francisco Art Institute. 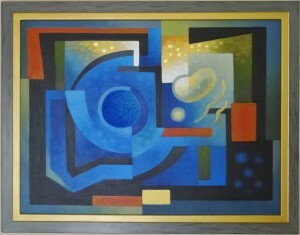 He was a key figure in the contemporary Indian art movement in Santa Fe during the 1960s. His works are included in the collections of the Bureau of Indian Affairs in Washington, DC, the Heard Museum in Phoenix, AZ and the IAIA Museum in Santa Fe, NM.